Instagram is the platform for reposting other people’s content. People are doing it all over, and coming across a reposted photo is something you do one a regular basis whether you know it or not. The only thing is that while a ton of people are resharing, or reposting, as it is usually referred to on Instagram, very few people do it the right way. Chances are that you are here because you’re afraid of violating Instagram’s terms of service or copyright law. Or maybe you are here because you’re curious to learn about the rules and how to repost the right way on Instagram. Reposting content is great for many reasons, and just because you’re afraid of breaking any laws, you shouldn’t shy away from doing it. First off, sharing other people’s content is great because it will help you with content supply, and sharing content when you don’t have any own photos to share. Secondly, UGC, content generated from your audience is extremely powerful for marketing purposes because 93% of consumers find UGC to be helpful when making a purchasing decision. In this article, we’re looking at the rules that apply for reposting content on Instagram and how you can repost content without having to worry about breaking any copyright laws and being faced with expensive fines. At its core, the main issue about reposting and sharing other people’s content is that the creator of the content is the owner of the photograph, and owns the copyright for that post. What this means is that they own the right to any revenue or benefits afforded by that content. For a business, this is especially important, because if you use someone else’s content and benefit from it, you might face serious fines that you didn’t anticipate when you used it. In practice, the copyright law means that if you post a photo that doesn’t belong to you and drive sales as a result of it, you might be forced to pay the revenue generated to the original owner of that photo. 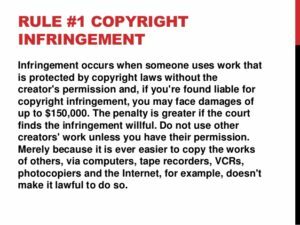 Without permission by the copyright owner, you risk being sued and being forced to pay back the generated revenue. While people are suing brands or private persons for reposting their content extremely rarely, it’s important to be aware of the fact that it does happen. Generally speaking, private people are almost never sued for reposting someone’s content on Instagram. The reason is that the owner of the image generally don’t see it being worth the trouble. For large brands, on the other hands, it might be a completely different story. People know that large corporates have a lot of money, and if they repost content, they might try their luck at suing them. Just note that this is only the case of the repost has been done in the wrong way. If you know how to repost people’s content the right way, then you have no reason to be afraid. 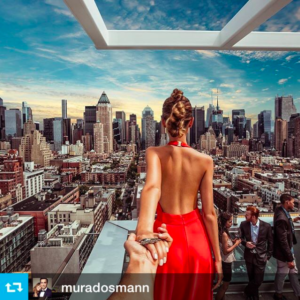 On Instagram, the most common scenarios are far milder than the previously mentioned. The most common consequence of you reposting someone’s photo and the creator find out is that they ask for credit. Simple as that. Some might be a little angrier and ask you to take the post down. The truth, however, is that most people get happy if you repost their content. Al of this, we’ll go down more into detail further on. As a marketer, you always want to abide by the rules. Because if you don’t it can have harmful consequences. Being sued is one of them, as discussed. Since Instagram is a platform where a big share of users are reposting other people’s photos, Instagram has made it clear about what is okay and what is not on their platform. However, it is impossible for them to tell the rules for the content you own. After all, you are the person who is in charge of it. Something that has scared many people away from posting content is the fact that Instagram doesn’t offer a repost feature within the app, compared to Twitter’s “retweet” button and Facebook’s “Share” button. 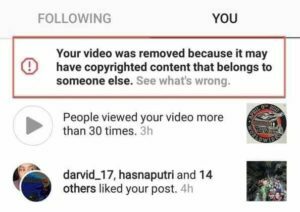 As a result of this, it’s not strange that people believe that reposting other people’s content is a violation of the Instagram terms of service (TOS). And what’s more, Instagram’s previous TOS stated that sharing “content other than your own was a violation of the platform’s terms. In other words, reposting content was not allows on Instagram. Instagram has now updated their terms of service, saying that you and you alone are responsible for the content you distribute on the platform. In the new and updated version, Instagram puts the responsibility on the user, and says that you are responsible for the content you share – including the content you repost. This means that the new Terms of Service allows you to repost content from someone else, as long as you have permission from the owner and you don’t have to be afraid of breaking Instagram’s rules and getting banned. The best way to repost content on Instagram is to ask for permission. There are several ways you can do this on, and sometimes, you need to use several of them because you don’t receive any response. Over my years on Instagram, I’ve reposted a ton of posts on Instagram, and I’ve learnt every single in and out of reposting on the platform. While I do admitt that it is the best to ask for permission before reposting someone’s content, I also admit that I very rarely do it. But the reason to it is because I haven’t reposted content from people that has lead to me getting any financial benefit. It has only allowed me to build my account. I have consequently not been reposting people’s content on Instagram as a big corporate, and if I would have, maybe it would have looked completely different. I’ll go more into detail about how I repost content at the end of this article but now, let’s dig into the subject of how you can ask people for permission. When you have gotten permission to use the post, you are good to go! A common method people use to get permission to repost someone’s content is to ask them in the comment section of that posts. It’s quick, it’s easy, and it’s effortless, so there’s no question why people choose this method. If you don’t get a response from the person you just asked, you need a plan B. Email can be one of them. If the person has their email listen in their profile, the chances are that they are checking it regularly. Email always comes off as more professional, and as a brand, you might also want to save some kind of proof that you actually have permission to use their post, just in case. Instagram Direct is a quick and easy way to send a private message and ask for permission to share the person’s post. The best part is that Instagram has a shortcut that allows you to send the particular post you want to repost to the creator while asking if you can repost it, so they know exactly which post you are talking about. If I would like to repost Eatprotes post, for example, I’d just tape the paper plane icon and ask them for permission. Direct Message is also a choice for the people who want to keep their request more private, rather than commenting on the post, leaving it exposed for everyone to see. This point sounds very strange only reading the headline, but It makes total sense when I have explained it. This method is used by many top brands, and that’s because it’s effective, and it works. Note that this method is normally used when brands are looking to repost User-generated content from their audience. In other words, if you want random people to join in, you’ll have a hard time finding traction – especially if you have a small following. What you are going to do is ask people to either tag you in their photos or use your personalized hashtag. When you specifically ask people to share their images with you, people except and are prepared that you might use and repost your content. Of course, this type of permission is not as powerful as explicit permission, however, when you ask your audience to share their images using your hashtag or tagging you, you imply that you may use their photos. To make it even more clear, you can be even more specific about what may happen when people tag you in their posts or when they use your hashtag. 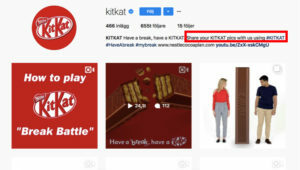 Some brands that want to be completely sure even have a link to the rules that you agree to when you use their hashtag or tag them. This is something that isn’t thought about by many brands when they do a partnership with people, however, the same copyright laws still apply, as discussed above. Unless your contract says otherwise, that is. Therefore, when you team up with an influencer to create content dedicated for your brand, you want to have a contract that specifically spells out that it is okay for you to use it. The vast majority have nothing against you using their images on Instagram. In fact, most people want you to. But then, of course, there is always a small fraction of exceptions. Most people dislike when you repost their content without giving them credit. Some people might dislike it even if you have reposted their photo with the appropriate credit just because you asked for permission. But then, there are people who say no even if you ask them for permission, or if you repost their content giving them credit. Why this is the case, I don’t have a good answer to, because after all, they aren’t many. However, as mentioned, most people appreciate when you repost their content and give them credit. And the reason to this is quite simple: they get exposure! When you share their photo and tag them, they might gain a few followers, they might more awareness, and so on. They will either way not lose anything, as a few people believe. When I repost someone’s photo, I clearly tag the person who took the photo in the caption. I very rarely ask for permission before I repost someone’s content, and that’s because I don’t see it being necessary. I’ve been reposting on Instagram for over 3 years and I haven’t had one person complain or asking me to delete their photo. But again, this might have to do with the fact that I don’t repost their content as a large brand. The point is that the majority of people actually appreciate you for reposting their content because it gives them exposure, and it gives them acceptance and silent applauses that their content is great. Therefore, you have no need to be afraid of the TOS or copyrights if you give the right credit to the photographer. But if you want to be on the safe side, then asking before you do isn’t a bad idea. Most people you ask will say yes when you ask if you can repost their content, however, most of them will also say that it is okay as long as you give them the right credit. As we just discussed, most people don’t have anything against you reposting their content, because it gives them exposure. However, if you repost someone’s content without giving the photographer credit, how can people know who created the content? Therefore, giving credit is essential. It’s most of the times not enough to ask for permission and then not give credit. Tagging them in the photo, or mentioning them in the caption. 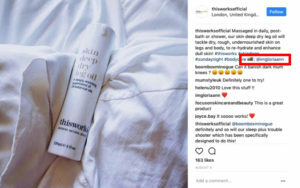 This works skincare gives proper credit to each Instagram photo they share that isn’t theirs. Most photographers prefer being mentioned in the caption as it gives them the most exposure, however, they don’t want to have their username buried among a bunch of hashtags and a long caption where it isn’t visible. Often times, you will do just fine only tagging them in the photo, but preferably, you should mention them in your caption (as well or instead). A widely used method for reposting content on Instagram is to use a repost app. As discussed, Instagram doesn’t offer a built-in tool that lets you repost someone else’s content seamlessly, and therefore, people have taken different routes to do it anyway. Using a third-party repost ap is one of them. There are tons of repost apps out there, but I can’t vouch for any particular because I use another method that we’ll get into soon. However, be careful with the app you choose because you have to log in to your Instagram through the app when you install it. If you download an unserious app, you might end up getting your account hijacked. The most popular app for reposting on Instagram is Repost app, that is available both for Android and iOS. The best part about the repost app is that it adds a watermark on the side of the image you reposted, which means the credit is already given, and you don’t have to add it when sharing the post. The only issue with this method is that, even though the right credit is given, and the watermark that is added isn’t too big, it doesn’t look too good in a person’s feed. For brands especially, sharing images with a big watermark scream low-quality, and ignorance. 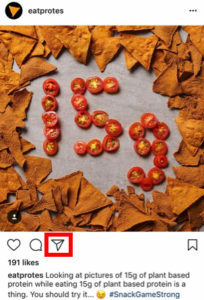 Yes, it is a quick and easy way, but for larger brands, letting reposted content with watermarks be apart of your social media content strategy isn’t a recipe for success. This is hands down the most common method people use to repost photos on Instagram, and it is also the method I use. The only issue with this method is that it only makes it possible to download photos. You can obviously not save a video with a screenshot. When you’ve screenshotted the image, go your image library and crop the image. You don’t want to have the regular frame when you post that image again because this will only look odd and awkward. Then, there’s the credit part. When you repost an image, it’s all about the caption and the tagging. These are the only ways you can give credit to the photographer when you’ve used this approach, so choose wisely. I’ve already told you which you should op for;). 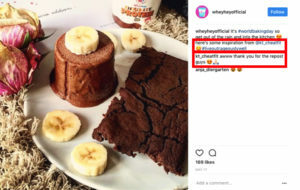 Wheyhey ice cream uses the screenshot method when reposting, and makes sure the credit is clearly visible. Note that the photographer actually thanks the brand for reposting the image, and this would only be possible if they actually see that their image was reposted. Thus giving a second benefit of tagging the photographer in the image. Reposting other people’s photos and content is always something you want to do with caution. Before you start reposting content on Instagram like a maniac, you want to make sure you do it the right way. Make sure you know what the rules say, what Instagram says, and what copyright says. The last thing you want to do is get a lawsuit against you. Note that these are not rules of reposting content for avoiding copyright infringement and breaking Instagram’s Terms of Service, nor is it legal advice. These are tips, created for educational purposes only.